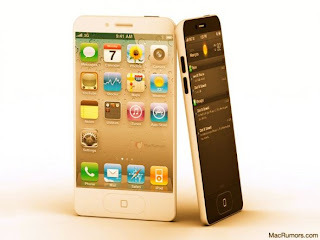 Everyone was disappointed when Apple released iPhone 4S, instead of iPhone 5. People believed that a revolutionary new iPhone would be released but iPhone 4S crushed the dreams about the issue. However, this does not mean that people are not mad about their iPhone 4S-es. However the dreams about the new phone were not unrealistic at all... It was fully designed when it was scrapped. That happened several months before the iPhone 4S was announced. Business insider says that they have been told this by an industry source, which was right about Apple’s future product. According to the source, the prototype of the phone had a bigger screen than iPhone 4S. The new phone was supposed to have aluminum backs and a messed up color profile. Also, Apple wanted to use its “liquid metal” technology, to create colorful phones. However, the phone was kind of a homemade one and not of production quality. Rendering the source, the prototype was much faster than the current iPhones, but that’s because it had its limiter removed to disguise its actual power and the battery sucked. With battery problems, the prototype appears to have been similar to iPhone 4S. Prototype of the phone featured SIRI as well (called “Assistant”) and the whole 10 megapixel lens! One more thing that distinguishes “dream phone” from others is its home button. It was not supposed to be physical press button, but it’d feature touch function and was designed to be oval, instead of being round as the rest of iDevices have. As a conclusion, people would be extremely happy if iPhone 5 was released, although they do not seem to be discontented with their iPhone 4S at all.